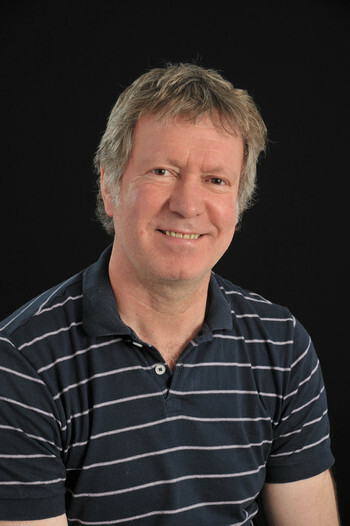 Steve Dewhurst joined the University of Hull in September 2010, having previously worked in the Department of Psychology at Lancaster University. His main research interests focus on the structure, processes, and conscious experience of human memory. Member of the Cognition and Neuroscience research group. If you'd like to take part in psychology research at Hull please visit the Research Participation System. Anderson R J, Dewhurst S A & Dean G M (in press), 'Direct and Generative Retrieval of Autobiographical Memories: The Roles of Visual Imagery and Executive Processes', Consciousness and Cognition. Dewhurst S A, Anderson R J, Berry D M & Garner S R (in press), 'Individual Differences in Susceptibility to False Memories: The Effect of Memory Specificity', Quarterly Journal of Experimental Psychology. Dewhurst S A, Anderson R J, Grace L & Boland J (2017), 'Survival Processing versus Self-Reference: A Memory Advantage following Descriptive Self-Referential Encoding', Journal of Memory and Language, 94, 291-304. Taylor A C & Dewhurst S A (in press), 'Investigating the Effects of Music Training on Verbal Memory', The Psychology of Music. Dewhurst S A, Anderson R J, Grace L & van Esch L (2016), 'Adaptive False Memory: Imagining Future Scenarios increases False Memories in the DRM Paradigm', Memory and Cognition, 44, 1076-1084. Professor Dewhurst welcomes applications to investigate any aspect of human memory. Joshua Woods, Putting False Memories into Context. Exploring the Valence of Contextual Information for Memories of Events that Never Occurred (June 2012). Ellen R Swannell, The Development of Phonological and Semantic False Memories (July 2010). Lauren M Knott, Investigating the Roles of Controlled and Automatic Processes in Remembering and Knowing (March 2008). Craig Thorley, Collaborative False Remembering (November 2007). David Howe, Implicit and Explicit Attitudinal Consequences of False Autobiographical Memories and Beliefs. Lydia Grace, Autobiographical Memory and the Self in Dysphoria. James Welsh, Talent in Sport: A Psychosocial and Cognitive Model. BSc (hons) in Psychology. Lancaster, 1990. PhD, Determinants of Recollective Experience in Recognition Memory, Lancaster, 1993. 2013-2016. Adaptive false memories: Investigating the effect of future planning on false memory (ESRC, £265,934). 2007-2008. Investigating the reinstatement effect in recognition memory (ESRC, £80,828). 2006-2008. Identifying the origin of false memories: A comparison of DRM and categorised lists (ESRC, £73,376). 2003-2006. The structure of visuo-spatial short-term memory (ESRC, £136,230). 2003-2005. The role of retrieval processes in the conscious experience of recognition memory (Leverhulme, £55,944). 2002-2005. The roles of encoding and retrieval processes in false memories (ESRC, £108,327). 1998-2001. An attributional account of the familiarity component of recognition memory (ESRC, £118,157). 1995-1998. A multiattribute model of memory and conscious experience (ESRC, £97,768).